YOUR VERY OWN PIECE OF THE TROPICS! This 6/7 bedroom home with 5 baths offers a massive patio/pool area that will make everyday feel like you're at a resort. 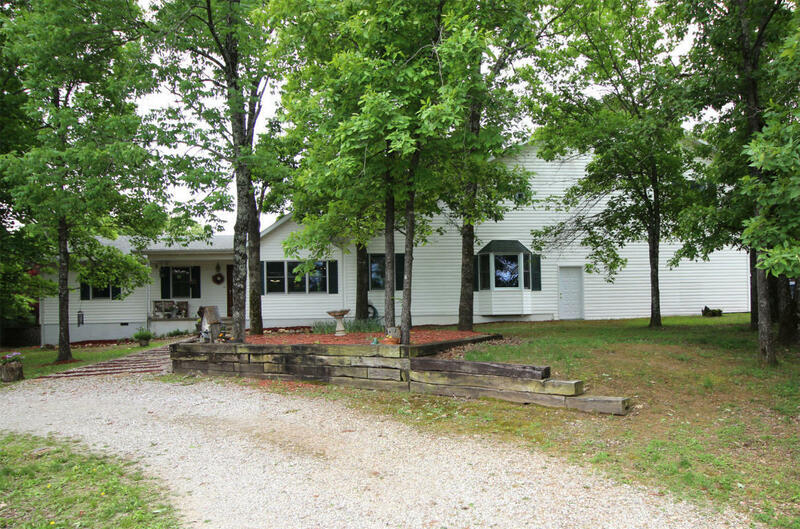 Quiet country living, level 2.31AC, just off Bee Creek Rd for easy access to Hwy 65 & 5 minutes from shopping! 4 car attached garage and plenty of room to build an additional shop. Spacious kitchen/dining area features a fireplace & room for a big farmhouse table. There are 2 master suites, select bedrooms offer study areas with internet/cable wiring and select bedrooms feature cedar lined closets. Great room with soaring ceiling, fireplace, French doors, and stained glass. PRICED BELOW APPRAISED VALUE! See Special Features list in DOCUMENTS. There are hookups to the pool for propane heat, but owner has removed propane tank. Patio Aprx Room Sizes: 3396 Sq.ft.